The Mouse Who Changed the World. The ultimate history of a modern hero: Mickey Mouse. 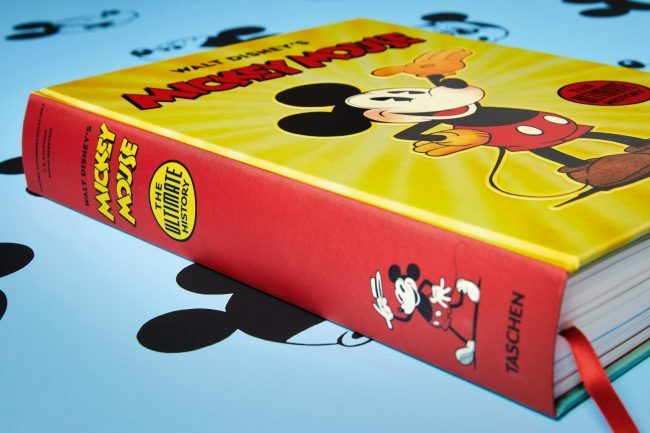 Celebrate 90 years of Mickey Mouse with of one of the most expansive illustrated publications on the Disney universe: behind-the-scenes shots, rare animation art, and vintage comics trace Mouse’s 122 cartoons, his comic adventures and the world of merchandise and memorabilia, as well as the legendary Mouse Club and unfinished projects. Also available as an Art Edition limited to 995 copies, with five lithograph prints and a facsimile of a 1936 merchandise catalog.